Ear candling is a wonderfully soothing therapy, which works using hollow candles made from natural products such as bees wax, honey and herbs. I use traditional Hopi™ earcandles by Biosun which are premium quality and use organic untreated cotton. 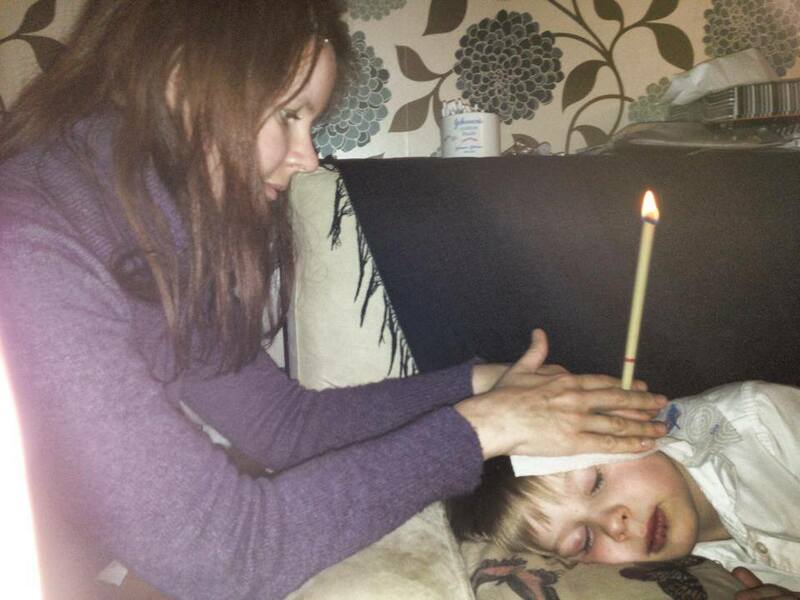 As you relax, I check the positioning of the candle for comfort, then remove it, light it and re-insert into the ear canal just a few millimetres. This allows for a chimney effect of drawing warm air down into the ear. During your treatment you may experience a gentle warmth in the ear and a light fizzing sound can be heard, sometimes interspersed with soft popping noises as the candle vapourises. Nothing enters the ear as there is a filter at the bottom of the candle. As the warm air circulates around the ear, the candle ingredients burn down and vapourise. The candle will be extinguished as it reaches the safety line, about 10cm from the bottom, usually after 10-12 minutes of burning. Then the outer ear is wiped with a cotton bud and you will be asked to turn over so I can treat the other ear. After both ears have been treated you will be asked to lie on your back to receive a soothing face massage which includes pressure points and sinus drainage. We can see, on opening the remainder of the candle, whether there has been any blockage within the ear, as some of the candle ingredients will remain above the filter. This could be in the form of powder or candle wax, and will indicate whether you should be advised another treatment in the near future. It is a very enjoyable therapy and incredibly relaxing. No Replies to "Ear candling"